Did we mention that we have a craft room now? 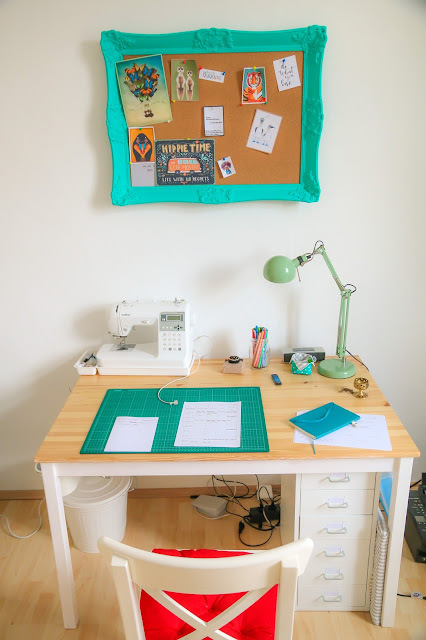 I feel a little spoiled writing this, but it's so AWESOME to have a craft room! 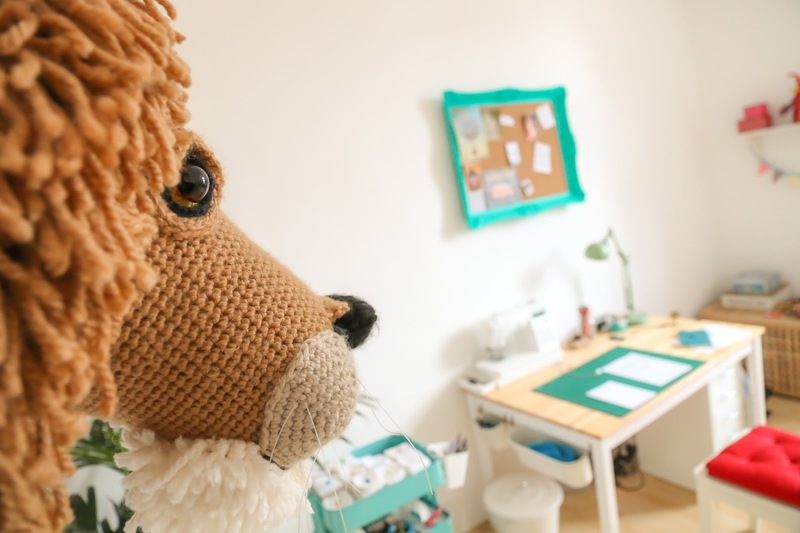 After everything was organised in the room, it became very clear that the room looked sad and empty, which are probably the worst qualities a craft room can have. It needs to be colourful and inspiring! 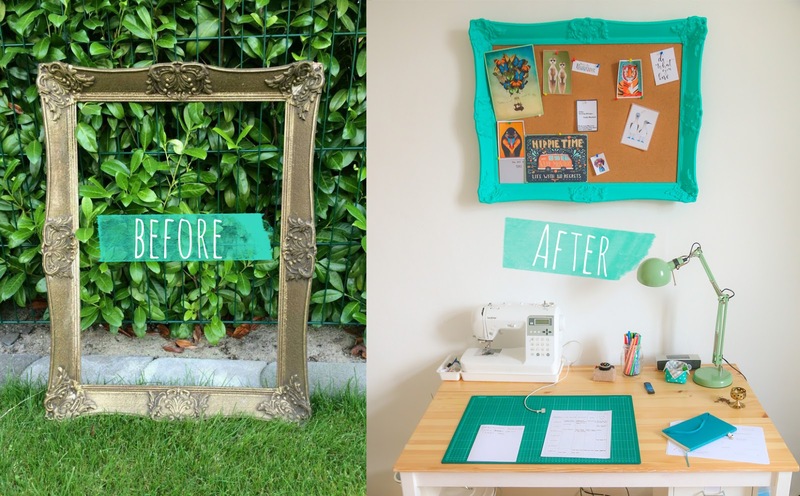 It needs to be a space that motivates you and inspires you to be creative! A space that keeps changing depending on your mood, interests and colour vibes! After our holiday in Croatia, I moved into our new apartment, whilst Matt had to go back to Stuttgart for 9 more days, to finish playing the show there. This meant that it was up to me to unpack all the boxes and decorate the place a little bit. I didn't do too much, since this is way more up Matt's alley! It's not that I'm really bad at it, it's just that he's better at it. I'll buy a beautiful vase for example, but I just can't picture where it should go in the apartment. Matt will take the vase, and find a spot for it within a minute and it's like it's always belonged there! The craft room was a tricky one. We had nothing yet from our old apartment to fill up the walls with. All our picture frames and decorational stuff was already occupying our bedroom, spare bedroom and the living room. This meant I had to get creative! The paintwork was damaged in many places, and it was empty. 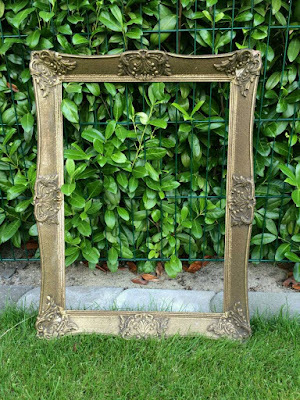 They wanted 10 euros for it, which I thought was a fair price for such a big frame! After an e-mail to verify it was still available, I jumped on my bicycle and picked up the frame! I must have looked a little silly, cycling around with a huge picture frame on my shoulder! 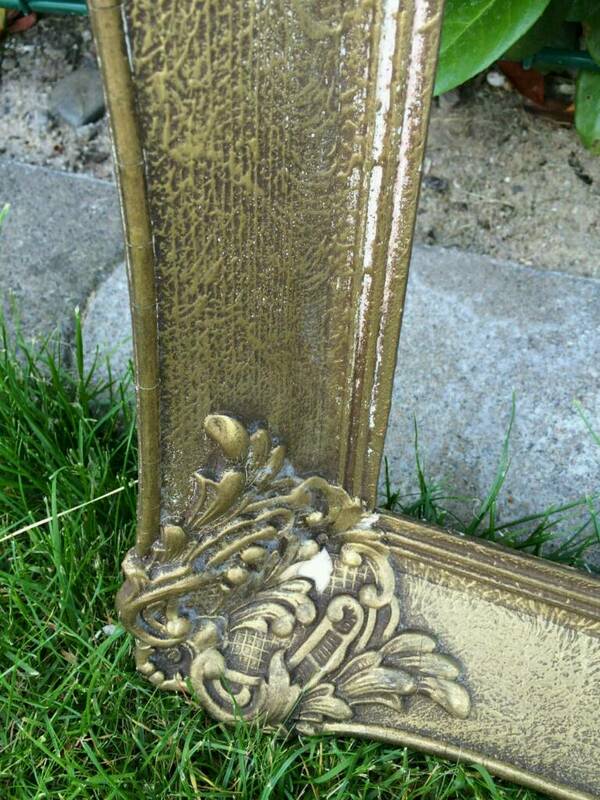 It would have been great to keep the frame in the antique golden colour, but there were so many areas where the paint had gone completely! I decided to keep it simple, and just choose a new colour to cover the entire frame with! We still had some paint left from Matt's Chair Upcycle! 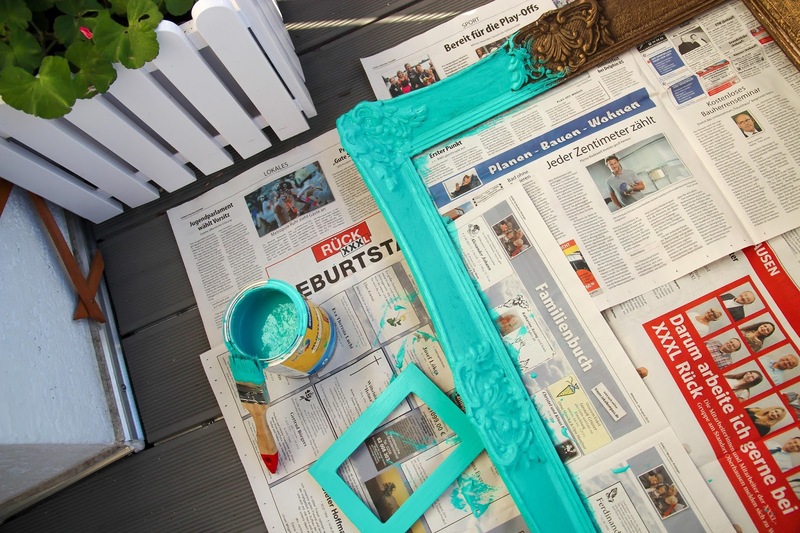 A beautiful Caribbean bright turquoise! I can't emphasise enough how much I'm in love with this colour. Pretty much any shade of turquoise or teal does the trick for me! The great thing, is that it's a paint and varnish in one and it's full cover! I only needed to coat the frame once, and it was done! I love the detail on this frame!!! Isn't it pretty? It was still very warm for September, so I decided to paint on the balcony! Now it was just waiting for the paint to dry to move on to adding the cork board! I didn't manage to find any sheets of cork, so I just ordered a normal cork board from Amazon. I placed the picture frame on top of the board and marked how big it needed to be, keeping in mind that it needed to be a little bigger to be able to attach it on the back side of the frame! I didn't take any pictures of the next steps since I was way too excited to finish it! I used a staple gun to attach the cork onto the frame, which took no time at all! I also screwed in a little screw eye, to hang it up! Al that was left to do was pinning some pictures on there, and hang it up! So pretty!!! 😍 I couldn't be happier with the final result! 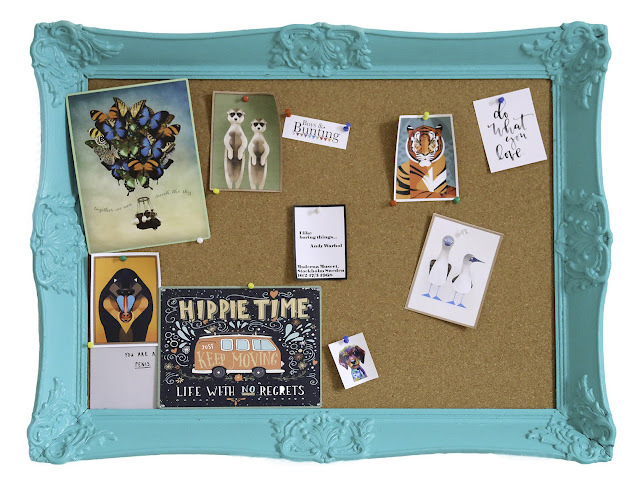 Tina the Lion is also very pleased with the new cork board! She's guarding our craft room for potential yarn thieves!!! I quickly printed out some inspirational quotes and pictures we like to pin on the board. It still needs changing a little, but we've just been too busy! It's great having a big canvas to use though! Insanely pleased and happy with the results! And the best part is that it's made by my own hands! Something no one else has! 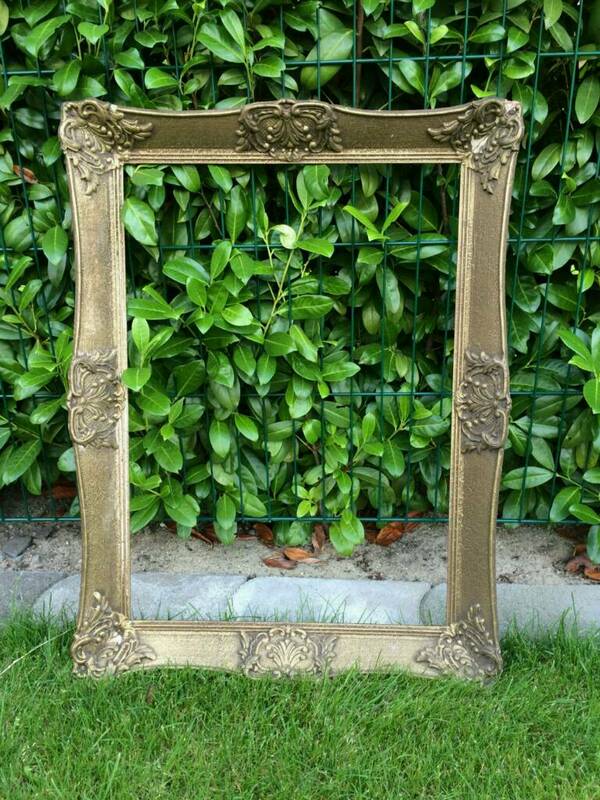 I also like the idea that the frame had a life before this, probably framing a beautiful painting or picture! I'll never know! I hope it inspires you to do something like this yourself! 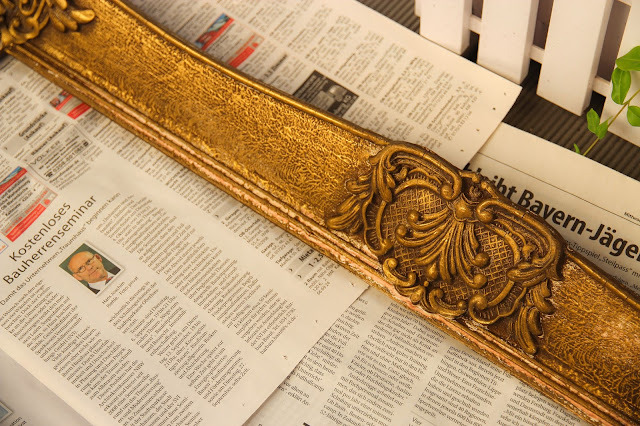 It's really not that much of an effort to upcycle "old stuff" and give it a new life! If you have any questions, or comments, let us know below! It's great being back in 'blog land' and speaking to you guys! Have a lovely week everyone! 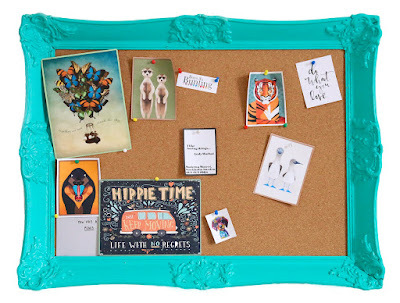 I love the idea of an Inspiration board! I love the idea of a dedicated craft/crochet room/studio too! Which to have first? I hope it brings you hours of happiness!